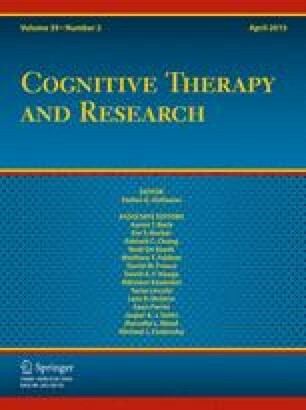 We sought to examine psychological mechanisms of treatment outcomes of a mindfulness meditation intervention for generalized anxiety disorder (GAD). We examined mindfulness and decentering as two potential therapeutic mechanisms of action of GAD symptom reduction in patients randomized to receive either mindfulness-based stress reduction (MBSR) or an attention control class (N = 38). Multiple mediation analyses were conducted using a non-parametric cross product of the coefficients approach that employs bootstrapping. Analyses revealed that change in decentering and change in mindfulness significantly mediated the effect of MBSR on anxiety. When both mediators were included in the model, the multiple mediation analysis revealed a significant indirect effect through increases in decentering, but not mindfulness. Furthermore, the direct effect of MBSR on decrease in anxiety was not significant, suggesting that decentering fully mediated the relationship. Results also suggested that MBSR reduces worry through an increase in mindfulness, specifically by increases in awareness and nonreactivity. Improvements in GAD symptoms resulting from MBSR are in part explained by increased levels of decentering. This study was primarily supported by Grant K23AT4432 from the National Center on Complementary and Alternative Medicine, National Institutes of Health (Hoge, P.I.). The Highland Street Foundation provided additional support to Drs. Simon and Bui. Authors E. Hoge, E. Bui, E. Goetter, D. Robinaugh, R. Ojserkis, and D. Fresco state that they have no financial or other relationships which would create a conflict of interest with regard to this manuscript. Author N. Simon lists the following financial relationships: Consulting: MGH Psychiatry Academy. Research Grants: American Cancer Society, American Foundation for Suicide Prevention, Department of Defense, Highland Street Foundation. Equity (Spouse only): Elan, Dandreon, G Zero, Gatekeeper. Consent was obtained by study staff before the beginning of study procedures, and the Partners Human Research Committee approved the study before initiation. Additional informed consent was obtained from any subjects for whom identifying information appears in this paper.